Arnold Brettell was born in 1913 in Bishop Auckland. Shortly afterwards the family moved to Bristol, where he was educated and trained as an electrical engineer. He served in the Royal Artillery during World War II and subsequently became a Buddhist and had a Jungian analysis. He hoped to practise psychology but could not make a living at it and for the next twenty five years worked in the film industry before retiring to Petersfield in Southern England. Here a doctor friend persuaded him to re¬-read his psychology, and after two years he felt ready to practise again, when he unexpectedly found that he was able to use hypnotherapy as an adjunct to treatment. 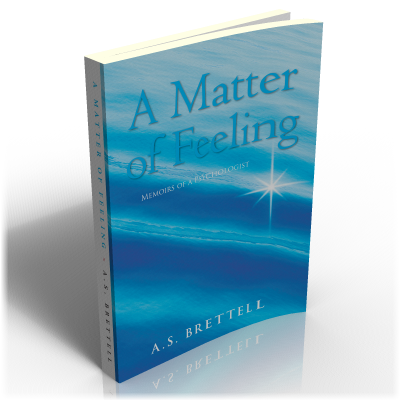 In this book he describes the threefold nature of man – body, mind and spirit – and sets out his system of treatment, which incorporates concepts from Buddhism and Jungian psychology. He emphasises the importance of the patient taking an active part in treatment; there are exercises designed to remove stress and increase awareness, and case histories are given. He also describes the usefulness of picture therapy and the importance of dreams.